Prior to last week's unveiling of iOS 8 and the new Health app, executives from Apple had privately met with the FDA to discuss "mobile medical applications." Multiple meetings occurred between the two parties, most recently in December of 2013. In an effort to find out what those meetings were about, Apple Toolbox filed a formal request with the FDA. The administration responded and revealed that Apple executives feel that mobile devices can do more to help people learn about themselves, and that they feel there "may be a moral obligation to do more." Beyond Apple's philosophy regarding health tracking data, little else was revealed about the meeting between the company and the FDA. The administration simply said that Apple "wants to make sure they are on the side of the FDA" as they continue to innovate with future products. "Apple will work closely with the FDA as they develop future products," the administration's disclosure reads. "The earlier FDA is involved and advising, the less likely that Apple would be caught by surprise later when they wish to release a new product, if that product must be regulated." 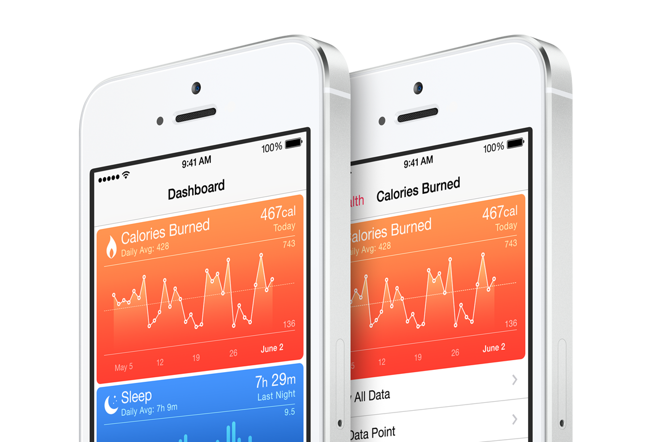 Apple's first official foray into the so-called "quantified self" market will come with iOS 8 and its native Health application, which will serve as a central place for users to track and organize all of their health-related data. It also comes with a new digital Medial ID that could help first responders make life saving decisions in the event of a medical emergency. Of course, Apple's interest in health-related applications —and its talks with the FDA— have only helped to further drive speculation that the company could be planning to launch a wrist-worn device later this year, frequently referred to as a so-called "iWatch." The latest rumors claim the device may sport a curved OLED touchscreen, and that Apple is apparently planning to hold an event to unveil the accessory this October.